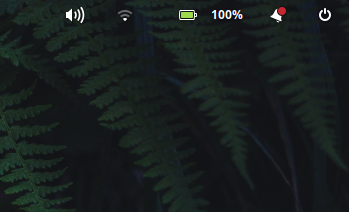 My bluetooth tray icon will intermittently disappear and reappear, usually after returning from suspend. At the login screen I can see the icon fine; when I log in though, it will (seemingly at random) disappear. However, it's still "there" in that I can click on it and access bluetooth settings and whatnot. This happens to me when i use Ayatana (tray icons) and use more than two extra icons. For example, i use Megasync and system-monitor icons. If i add another (telegram icon for example), bluetooth icon disappears. Are you using ayatana indicators? Not the answer you're looking for? Browse other questions tagged wingpanel bluetooth or ask your own question.